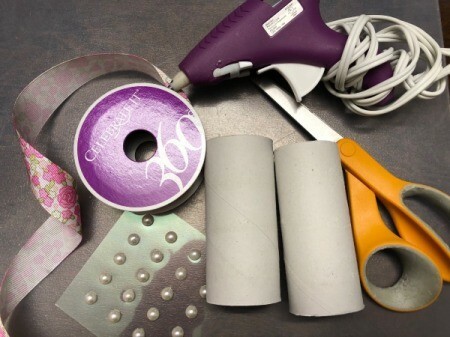 I am prepping to co-host a small intimate going away party for my friend. 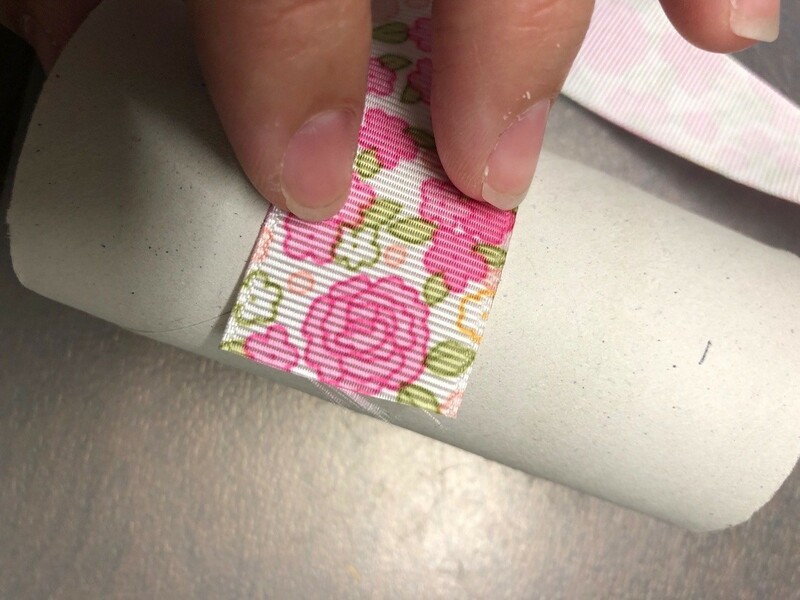 I thought this would be a cute touch even though the items are going to be disposable. 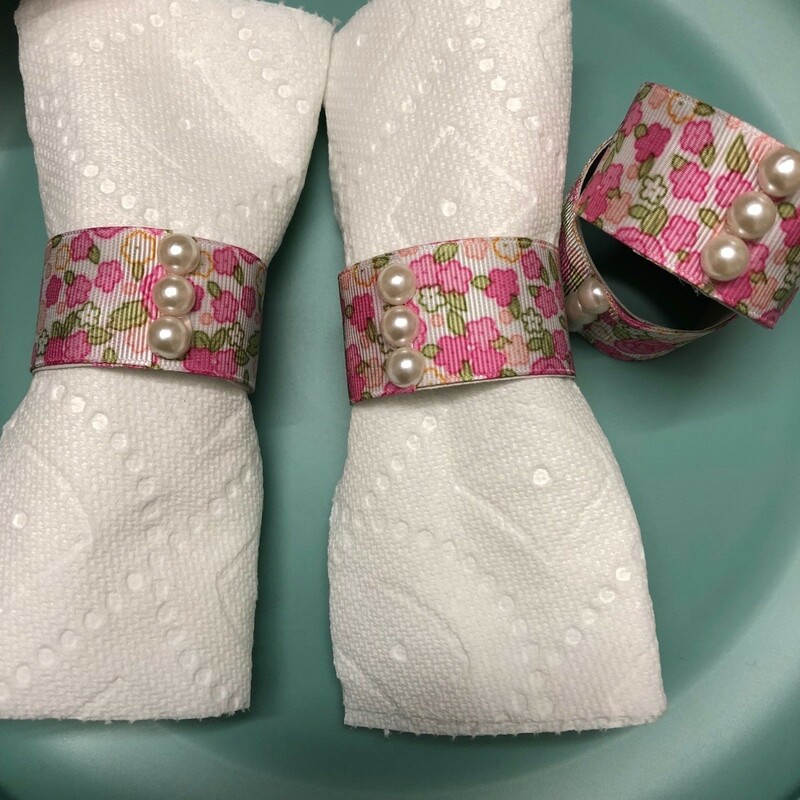 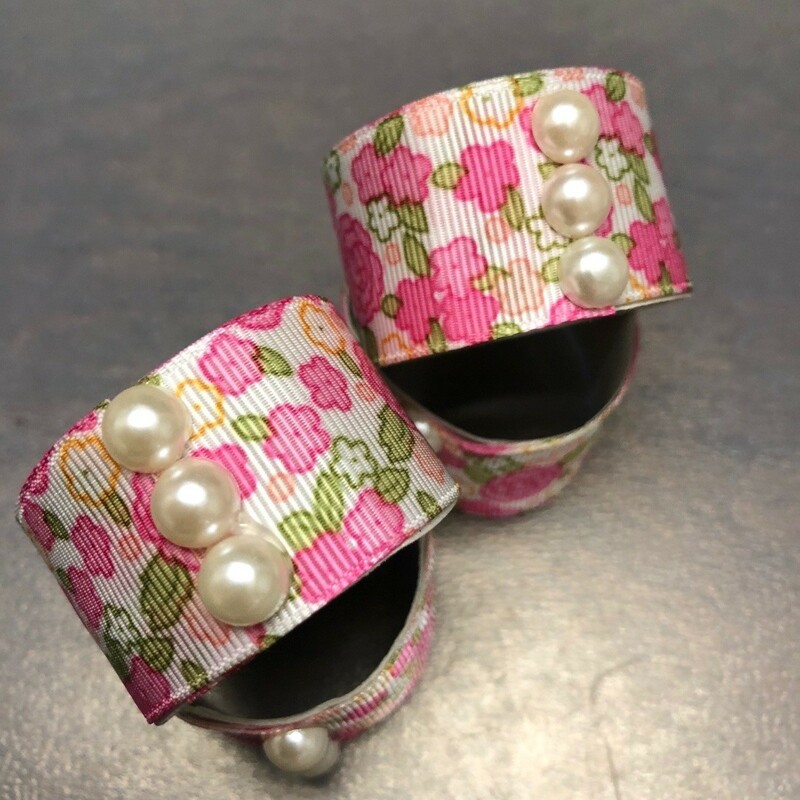 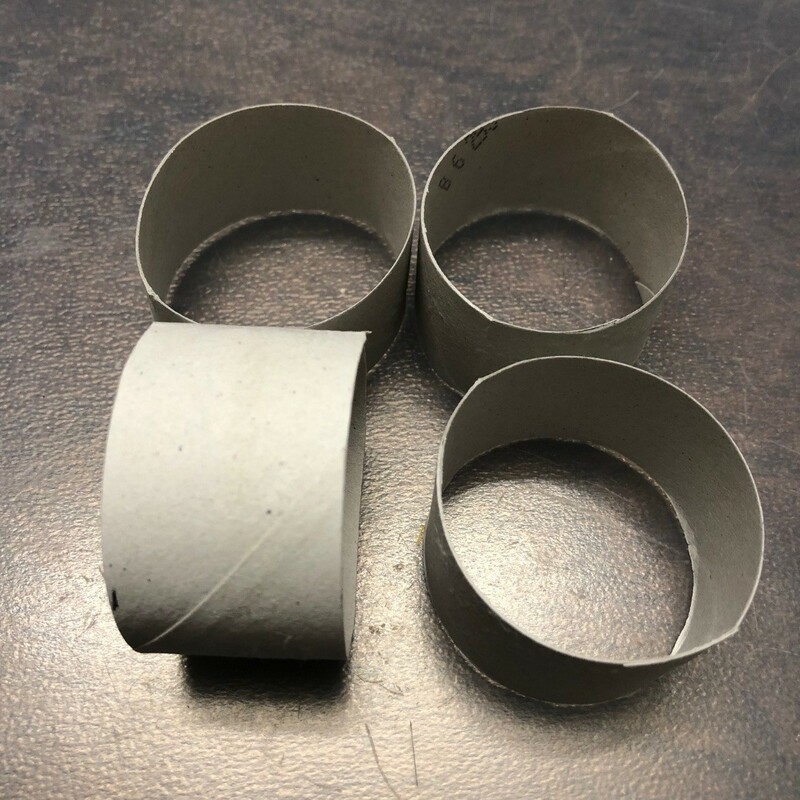 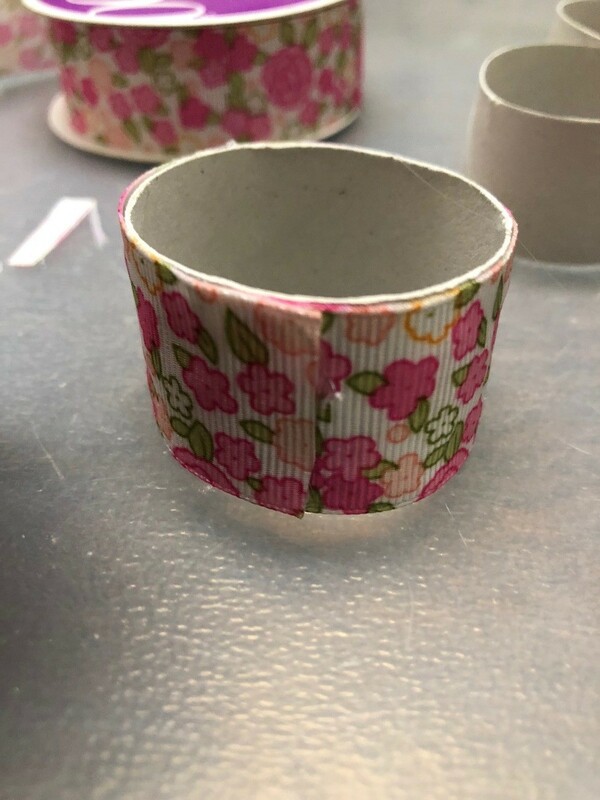 You can easily make these napkin ring holders too with any tube cardboards from towels or toilet paper rolls. 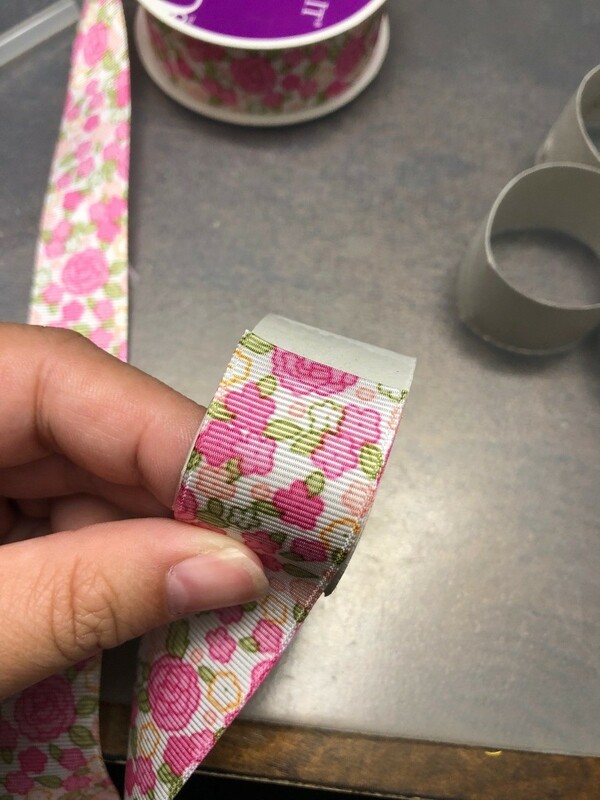 I would recommend using a wider ribbon about a inch or so. 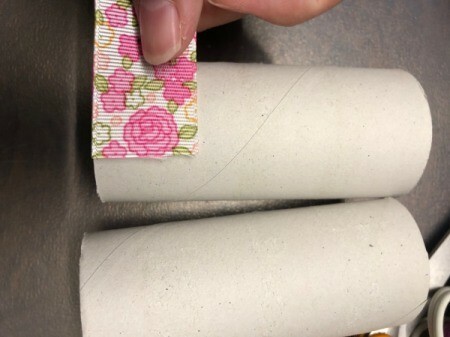 Measure your choice of ribbon against the toilet paper roll and make a mark with a pen/pencil. Cut out your napkin ring holders. Using hot glue, glue ribbon to the roll. 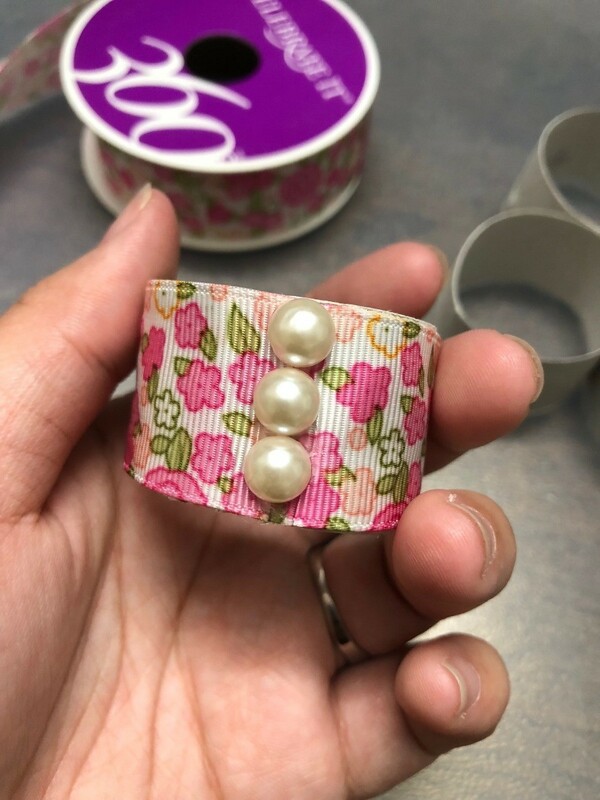 Using any faux pearl, or gems - hot glue them on as a nice accent.